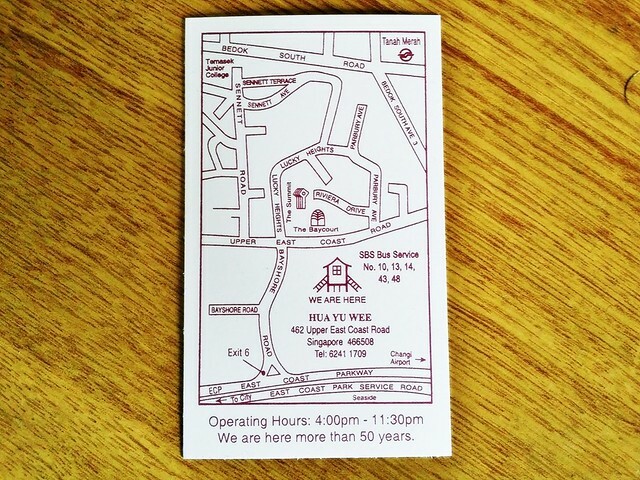 Hua Yu Wee is a Chinese Zi Char eatery that exudes a touch of nostalgia. 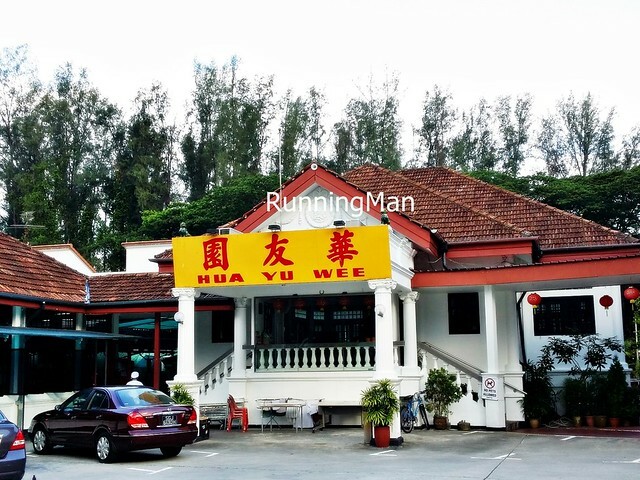 The only 1970s seafood restaurant that has stayed at its original location, Hua Yu Wee serves up tasty and beautifully presented old school Chinese fine dining Zi Char dishes at mid-range yet affordable prices, all in a charming colonial setting. 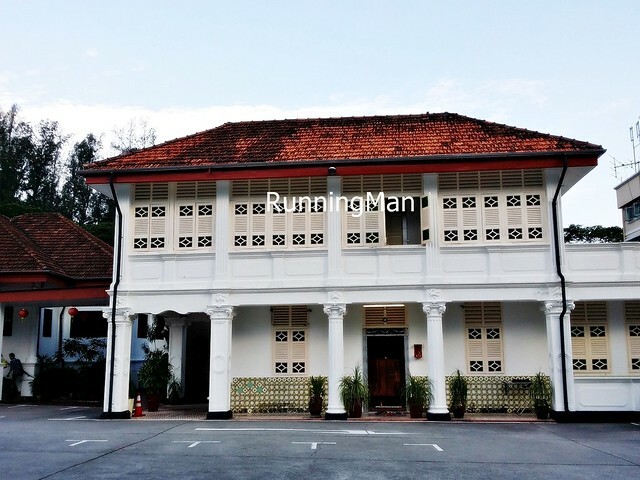 Ambience at Hua Yu Wee channels its colonial past. 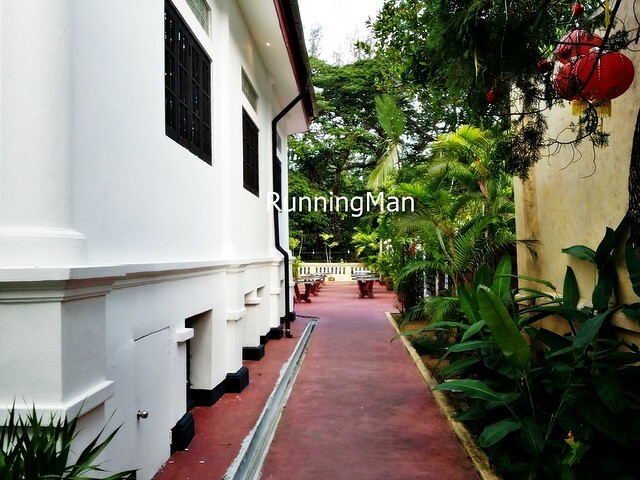 The huge white mansion houses not only the restaurant, but also the living quarters for staff. 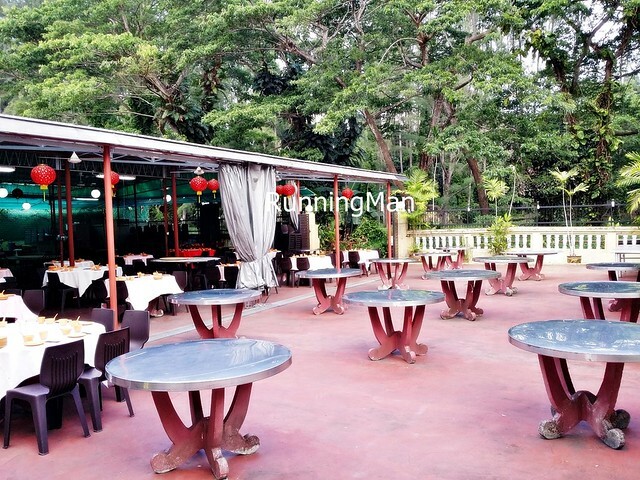 And while the indoor air-conditioned area is rather small, there is a large outdoor seating area, sheltered by awnings. 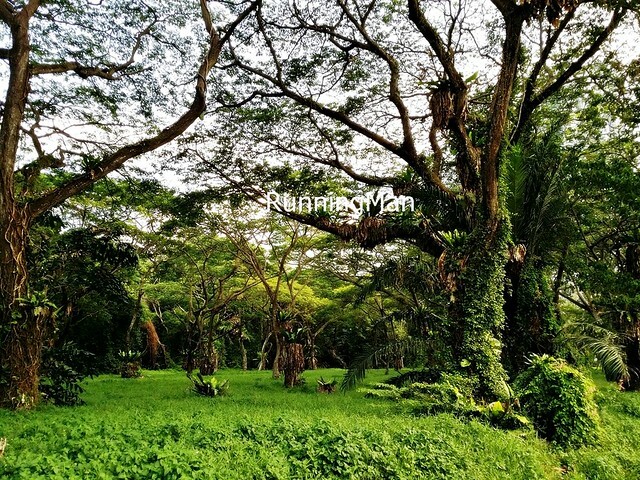 I imagine ambience used to be much better in the past when Hua Yu Wee was next to the sea, but reclaimation of land has changed the landscape behind Hua Yu Wee to a jungle. 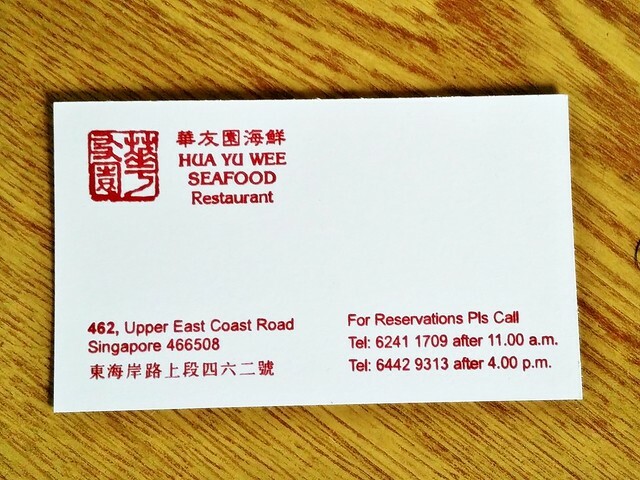 Service at Hua Yu Wee is old school as well, staff are polite and efficient, with a certain air of elegance. They wear a brightly coloured pattern kebaya top, reminiscent of the national airline, fitting as it seems Hua Yu Wee is now managed by an former cabin crew who retired from flying. That may explain why staff are observant and attentive, generally standing by and observing tables in case they're called. 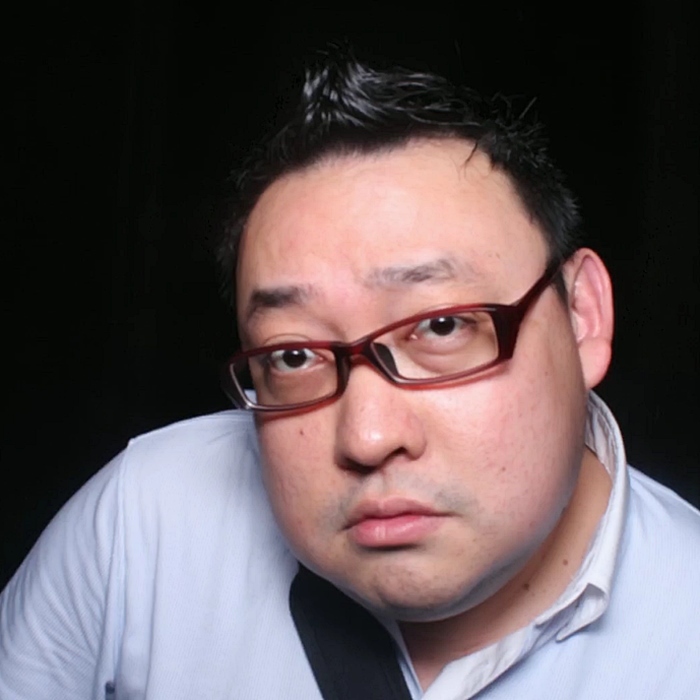 Master chef Mr. Teo Ah Chye heads up a team of 10 chefs in the Hua Yu Wee kitchen. 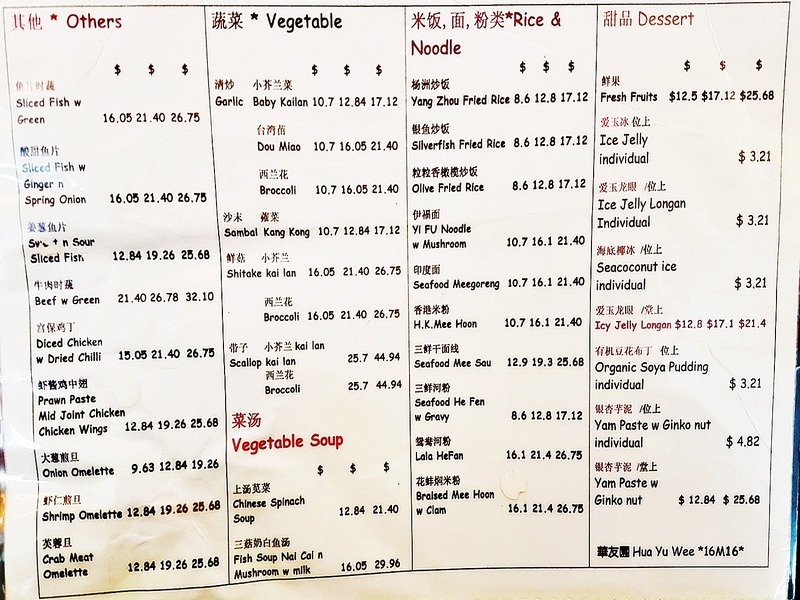 While the menu isn't extensive, they produce great tasting classic Chinese Zi Char dishes, all tasty and flavourful, and presented beautifully. Small portions are usually enough for a group of 3 - 4 people, while large portions are sufficient for up to 10 - 12 people. And despite the fine dining status, prices at Hua Yu Wee actually cheaper in comparision to other major seafood restaurant brand names. 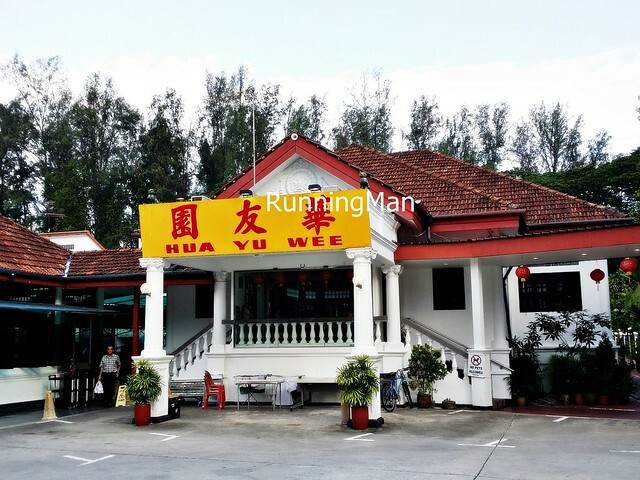 Hua Yu Wee is highly recommended by regulars of the place, who even know about several off the menu items available here. Reservations are recommended! The bright and clean colonial facade stands out against the modern foreground of residences, and the natural background of forest and trees. 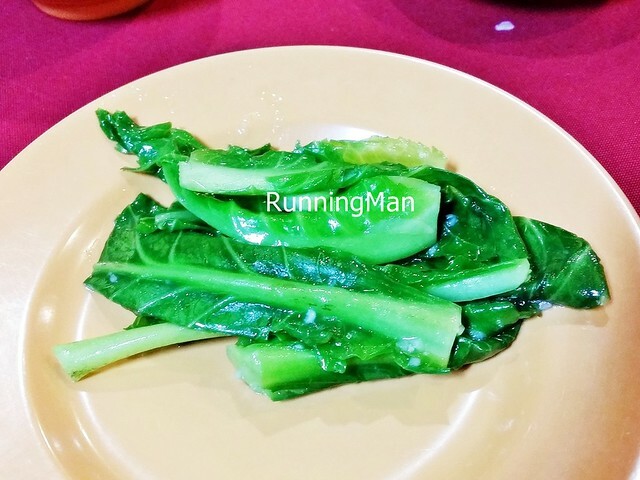 An appetizer of Pickled Mustard Greens (SGD $1) whets the appetite, with its tangy, slightly sour taste and crunchy, fresh texture. 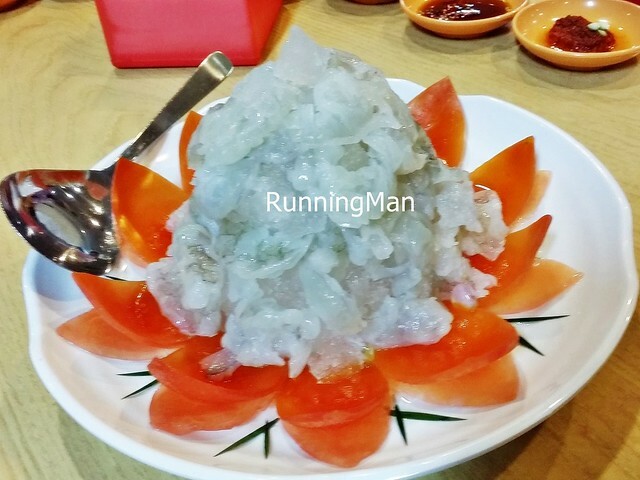 The Fresh Prawns And Tomatoes On Ice (SGD $15 per 100 grams), also known as Wasabi Prawns or Sashimi Prawns, is a signature off the menu item only ordered by those in the know. The 1-day advance order ensures only the freshest, juiciest prawns are used, butterfly and laid on ice surrounded by butterfly tomatoes. The dish is consumed by first dipping the fresh prawns into a mixture of light soy sauce and wasabi paste, then slowly savouring it! 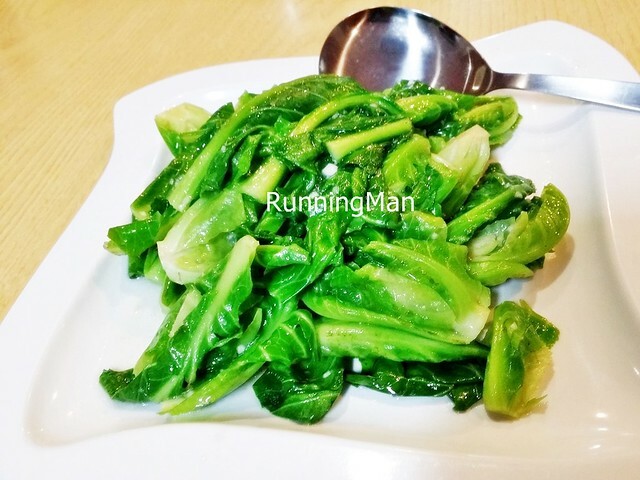 Fresh and crunchy, the Garlic Baby Kai-Lan (SGD $12 medium) is fragrant, with a good taste of 'wok hei' / breath of the wok. Excellent for a stir fried vegetable! 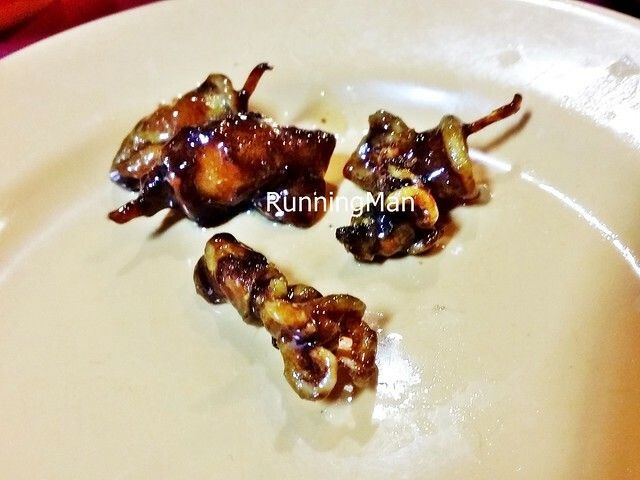 The Crispy Baby Squid (SGD $12 medium) is absolutely crunchy, with a slight sweetness from the marinade. 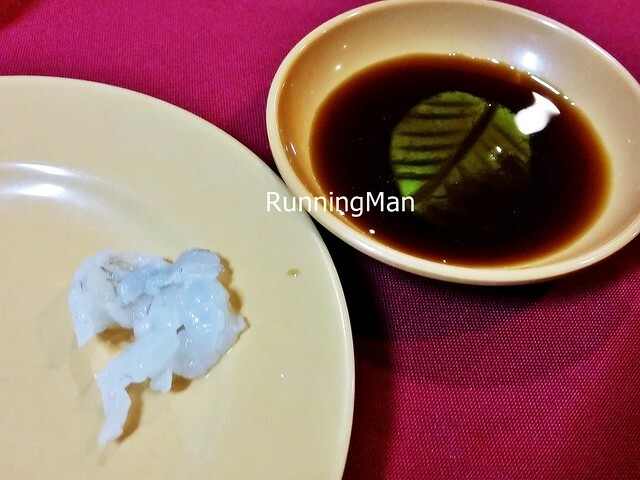 Even several diners who don't enjoy squid gave this dish a thumbs up! 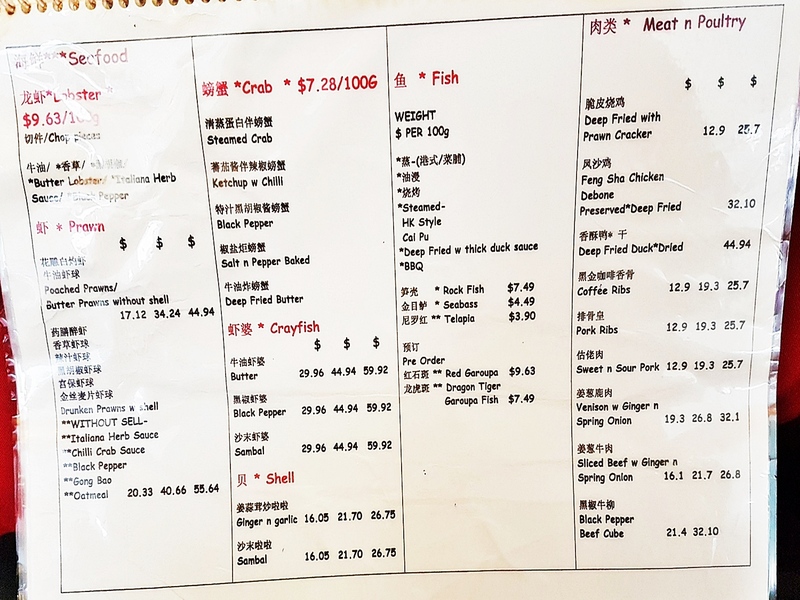 The Sotong You Tiao (SGD $12 medium) I felt was rather average, nothing particularly outstanding about it. 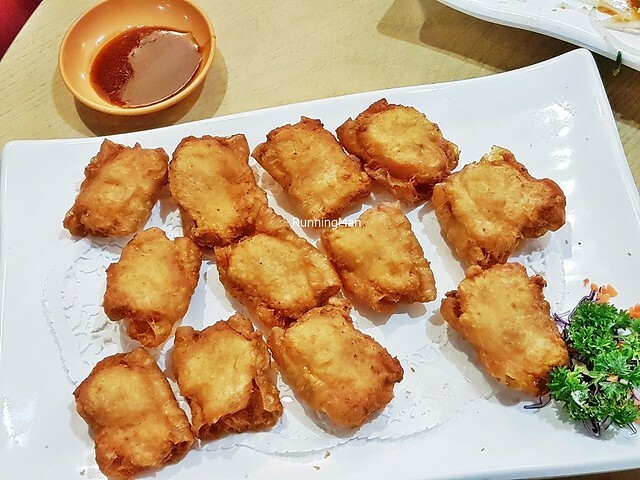 Yes, the dough fritter was well fried and crisp, while the sotong meat within was cooked through, but I felt it was only decent. 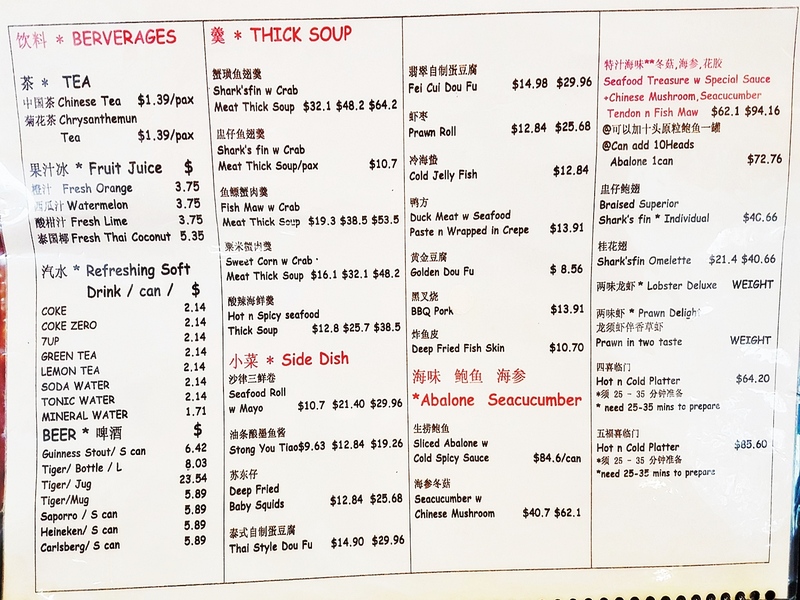 The Thai Tofu (SGD $14 medium) is another off the menu item. 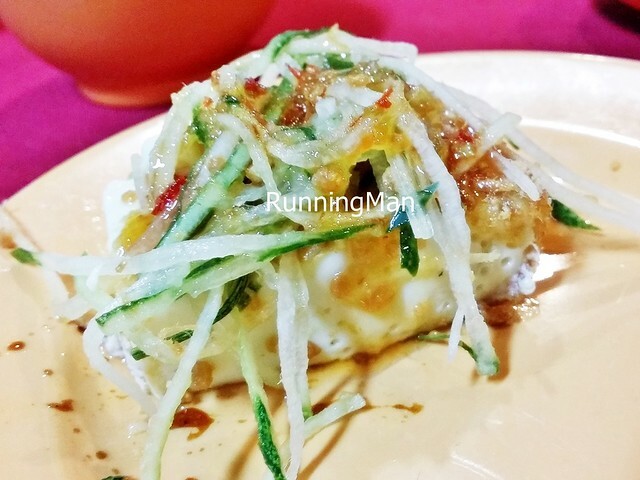 Crisp, well fried tofu, hot and slightly crunchy outside, soft and smooth inside, covered with a tangy, slightly spicy Thai style chili sauce and fresh crunchy julienne cucumber strips, this was a delight to eat. 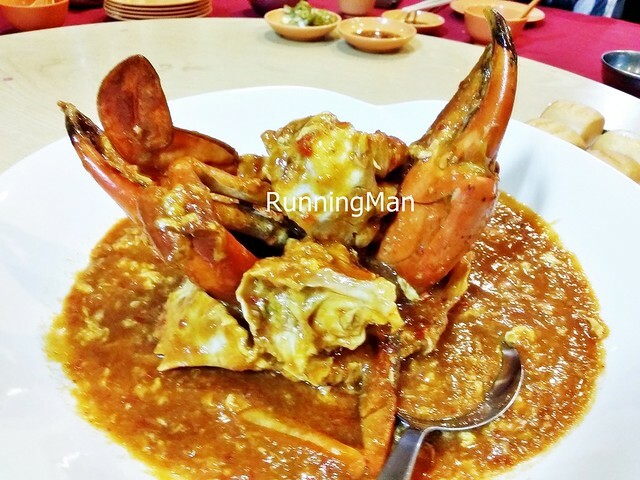 The Chili Crab (SGD $75 for 1.5KG, medium) was delightful. 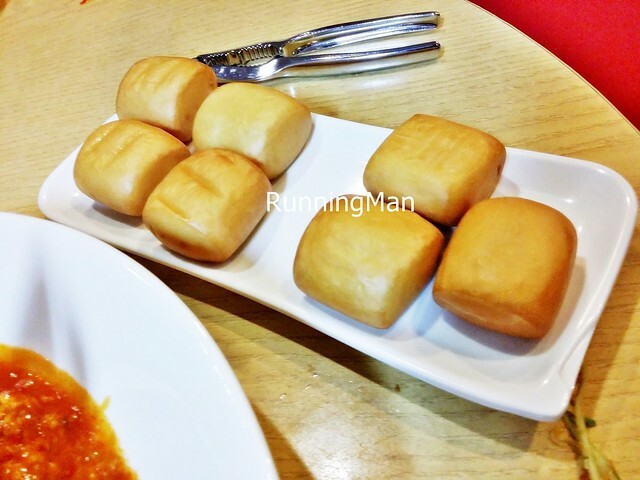 A fresh, meaty crab with roe, doushed with a spicy, savoury, tangy chili sauce, accompanied by crisp Fried Man Tou Buns. Very good, and cheaper than elsewhere! The Olive Fried Rice (SGD $16) has a interesting textural contrast from rice krispies that are sprinkled over the dish. 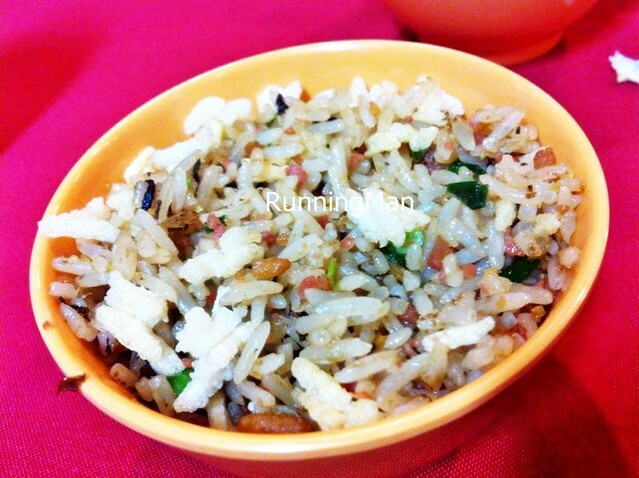 The olive taste is prominent in the rice, but I thought the overall combination was only decent at best. The Pulut Hitam With Vanilla Ice Cream is an off the menu item, home made in-house. 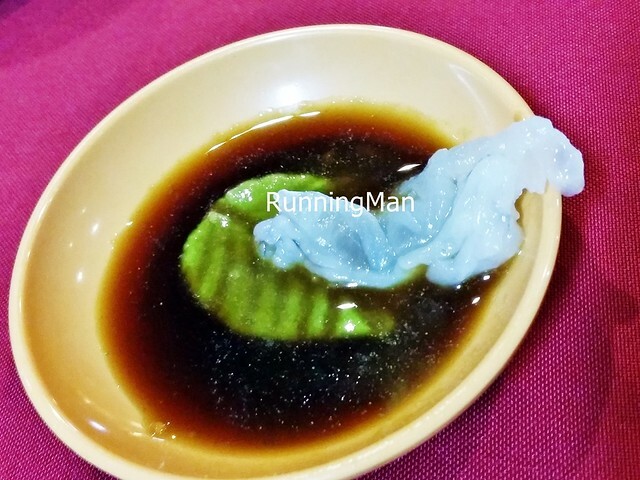 The dessert is sweet and sticky, and the vanilla ice cream adds an unusual contrast to the black glutinous rice pudding, enhancing the overall flavour. Very good! Update Apr-2017: Been almost 4 years since we last visited Hua Yu Wee. 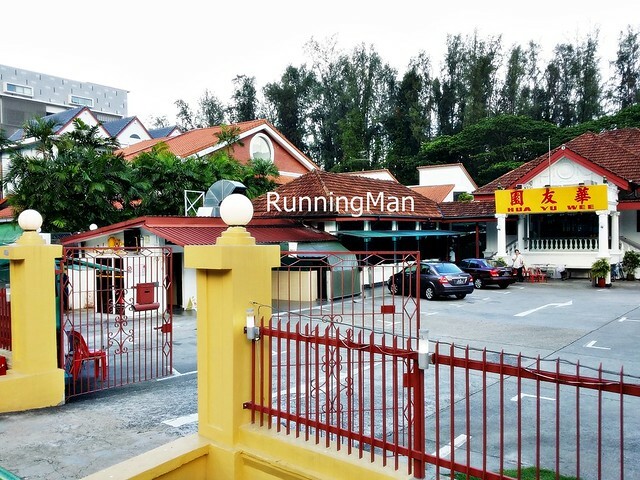 This Chinese Zi Char restaurant is still going strong, faithfully serving up tasty, affordable, good quality food. They retain the same caring, personalised, and engaging service, while the casual, retro, colonial ambience still looks as it did before. 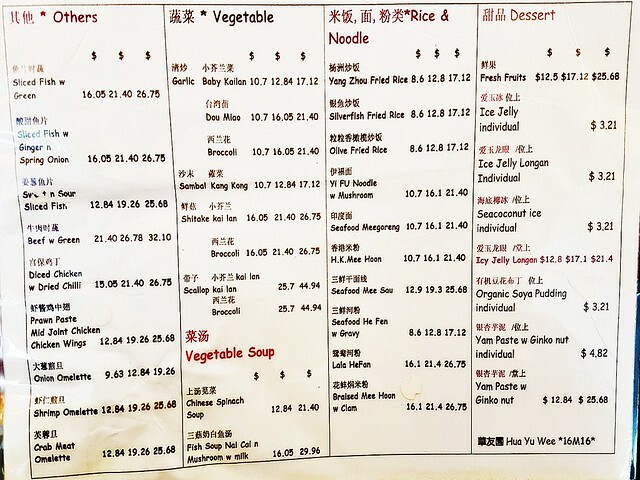 I'm glad they've retained all their classic dishes and traditional favourites, though several special dishes we had last time at no longer available at Hua Yu Wee. 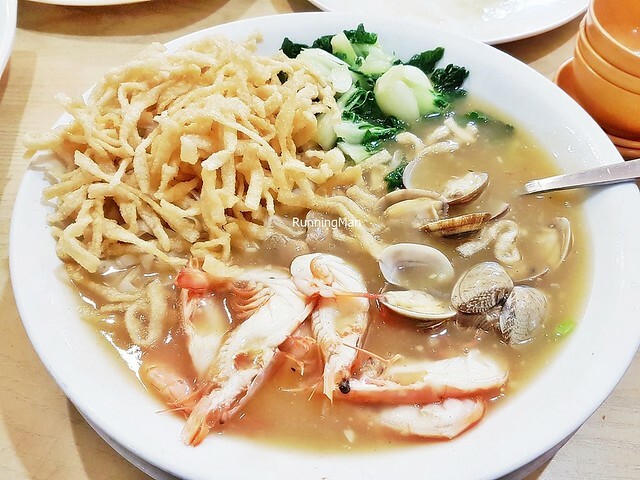 The Fish Maw With Crab Meat Thick Soup (SGD $19.30 / $38.50 / $53.50) has a lovely thick texture, with good sweet savoury flavour. 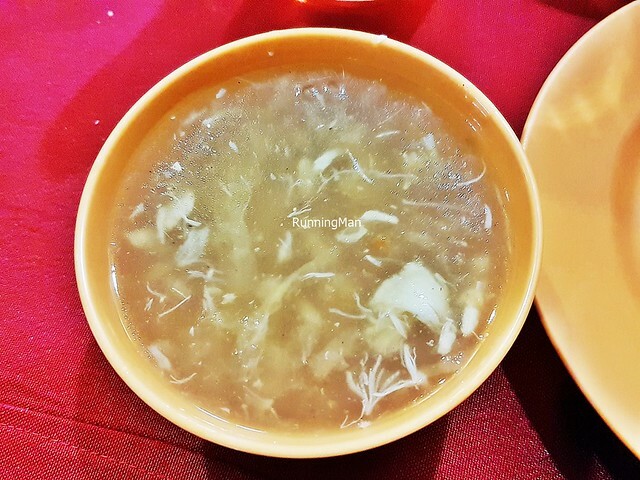 While the spongy strips of fish maw are generous, I couldn't detect enough of the crab meat within this soup / broth. Still, it does help to open the appetite, and it's pretty decent in taste. 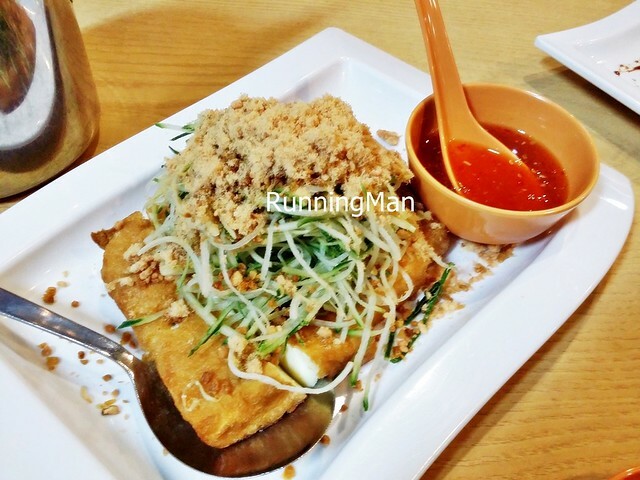 The Thai Tofu (SGD $14.90 / $29.96) remains as good as before. 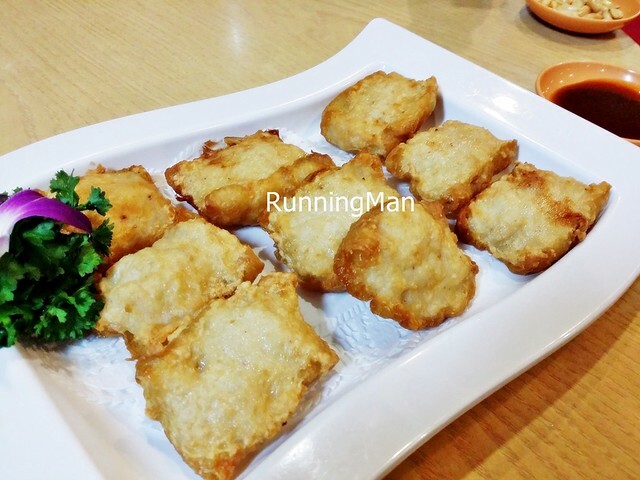 Thin strips of cucumber rest on large tofu beancurd cubes. 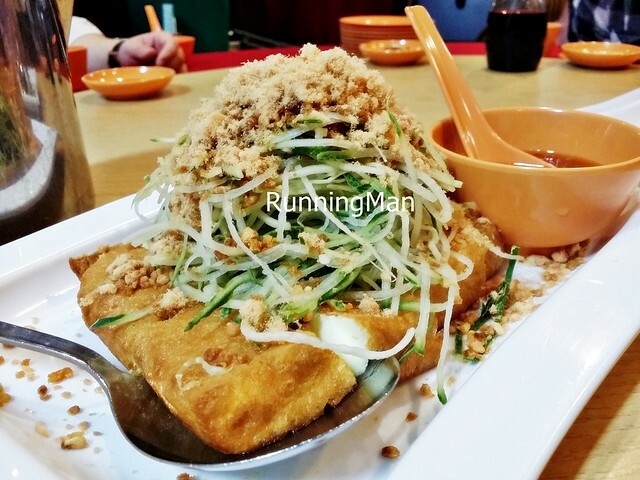 Piping hot with a slightly crisp exterior, soft and wobbly interior, the tofu beancurd is surprisingly non-greasy. Pour the thick sweet spicy Thai style chili sauce over, and indulge. 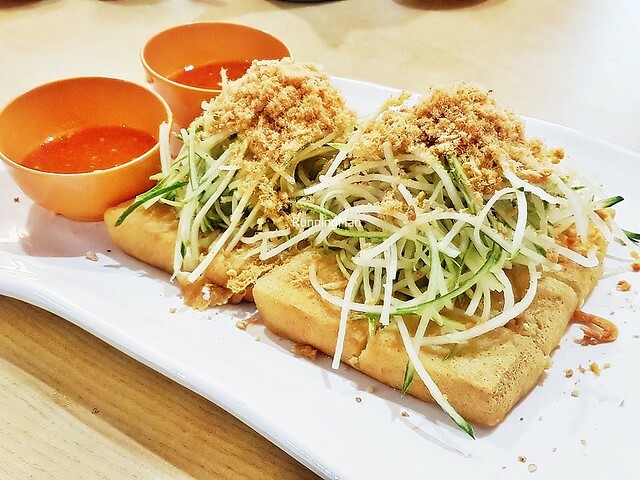 The shreds of pork floss on top lend a meaty flavour profile to this tasty dish. Good! 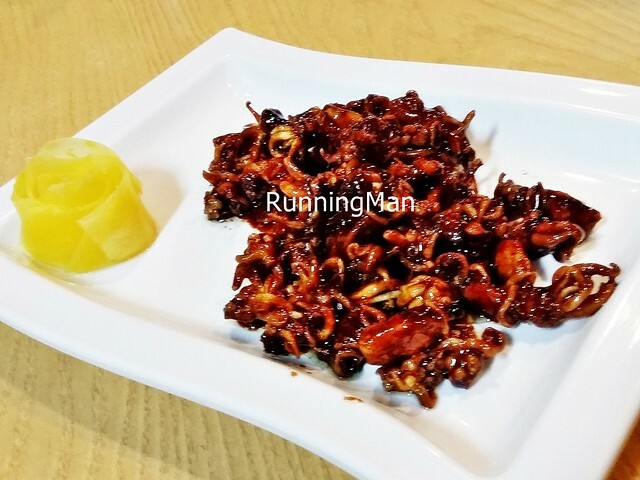 The Sotong You Tiao (SGD $9.63 / $12.84 / $19.26) is crisp and piping hot, with a crisp texture, contrasted by the bouncy squid. 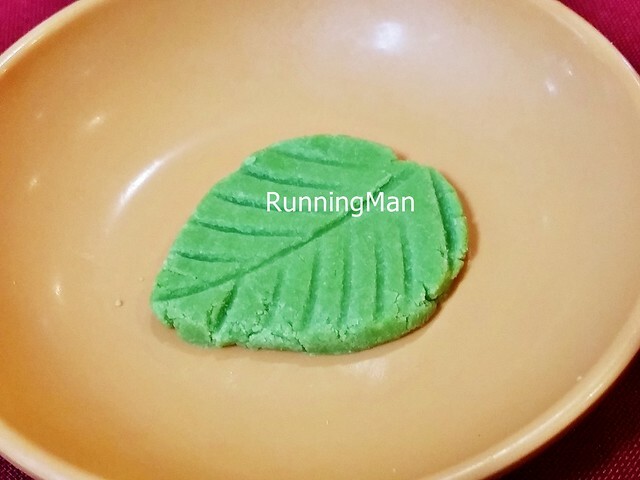 I find this to have improved slightly, the taste is now decent, and is much better when eaten hot and fresh. 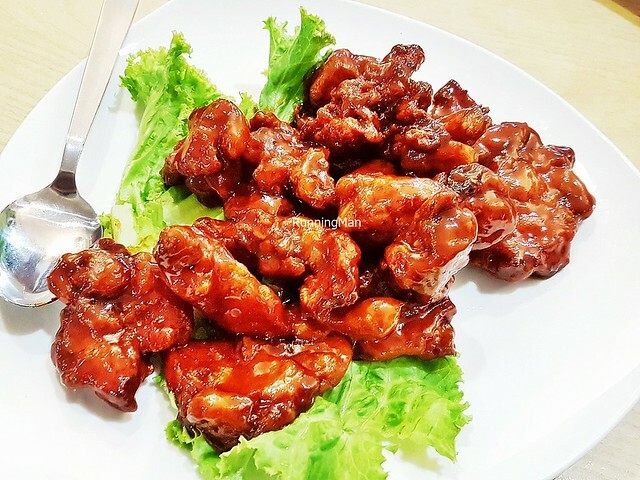 The Prawn Paste Chicken Wings (SGD $12.84 / $19.26 / $25.68) are very good. 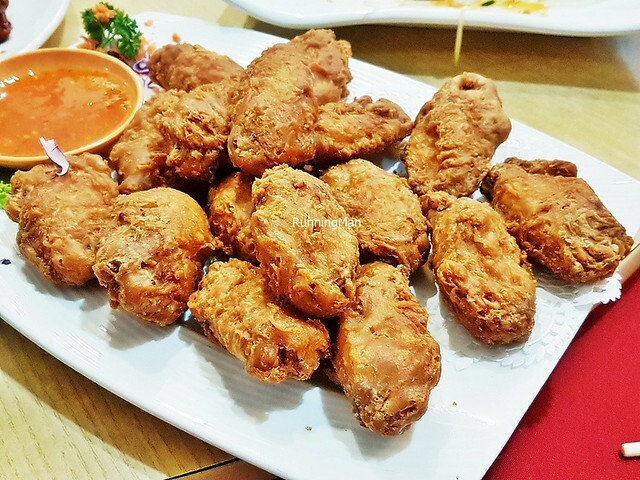 Well cooked, with a crispy, savoury salty skin that holds good flavour of prawn paste, yet the chicken meat is moist and comes easily off the bone. Lovely. 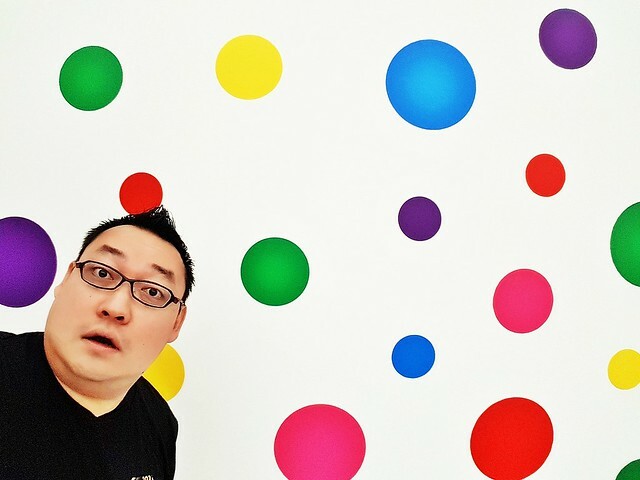 I didn't try the chili dipping sauce, but I hear it has a sharp spicy kick. 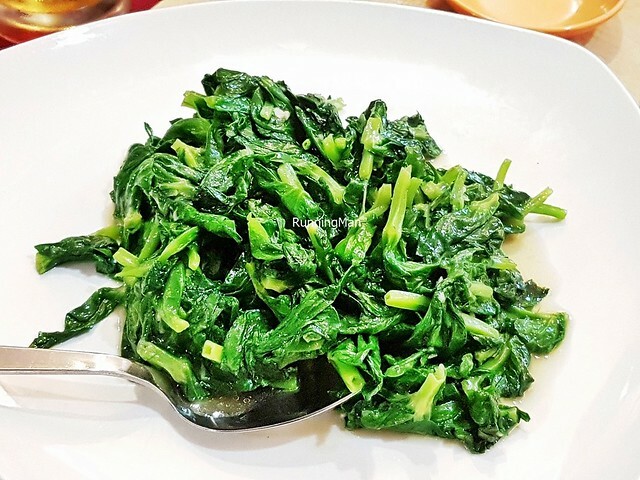 The Garlic Dou Miao (SGD $10.70 / $16.05 / $21.40) features fresh, crunchy stir-fried pea pod tips / pea sprouts / pea shoots / dou miao, cooked with garlic. Simple, clean-tasting, sweet savoury, so fresh. 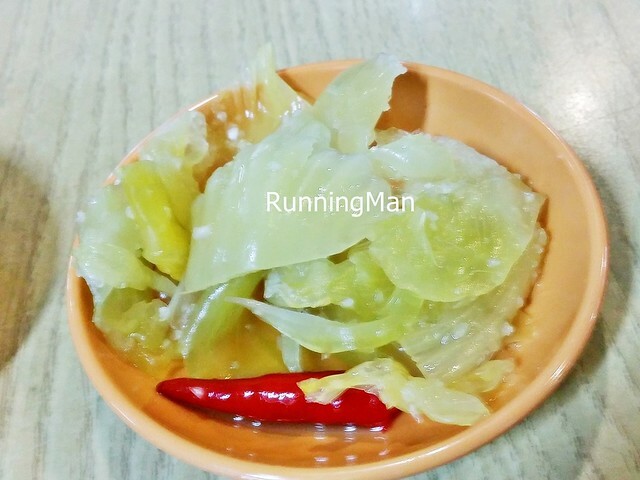 Very good, and you can taste the breath of the wok / wok hei in this dish. 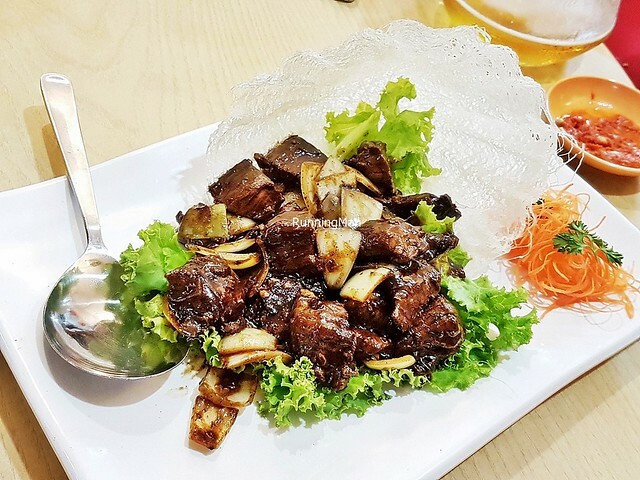 The Pork Rib King (SGD $12.90 / $19.30 / $25.70) features chunks of bone in pork ribs, coated in a sticky sweet sour sauce, with the meat being moist and savoury. Has a nice meaty chew, and pulls away easily from the bone. Worth ordering! 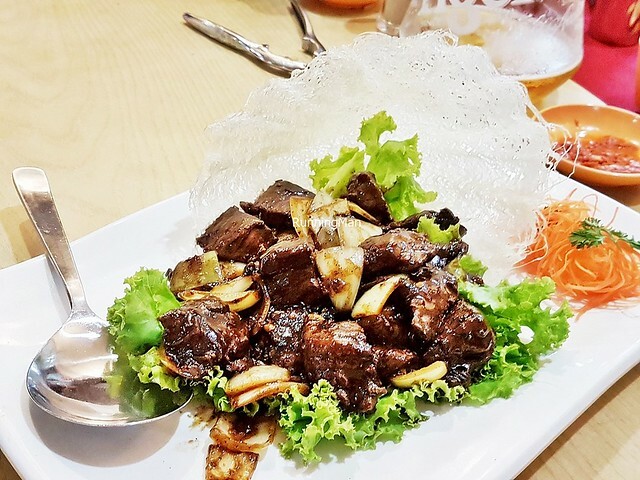 Loved the Black Pepper Beef Cubes (SGD $21.40 / $32.10), among the best dishes we had. The small chunks of beef are meaty, with a tender chew to texture, and bold savoury spicy peppery flavour, with a hint of salty. Just tasty enough to be addictive, but not overwhelming in flavour. Absolutely delicious. Highly recommended! 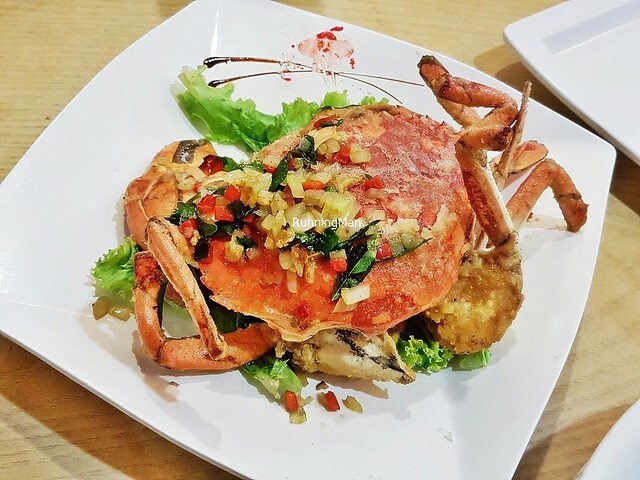 The Butter Crab (SGD $7.28 per 100g, $72.80 per 1kg) here is special, and among the better versions I've had. 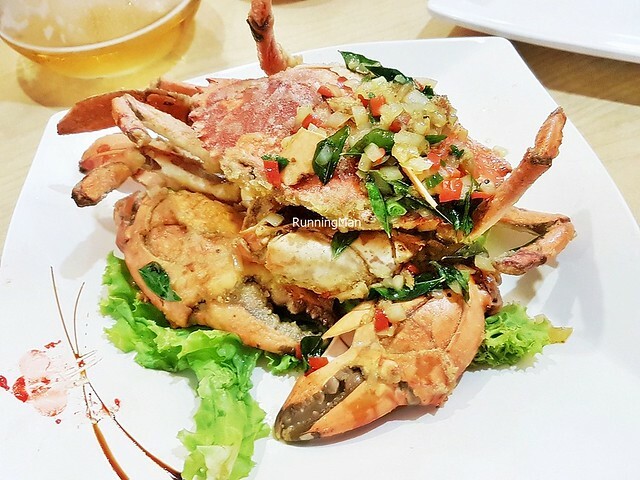 The fresh Sri Lankan crab is flash fried at such high heat, that the butter dries to form a crust, sticking tightly to the crab. 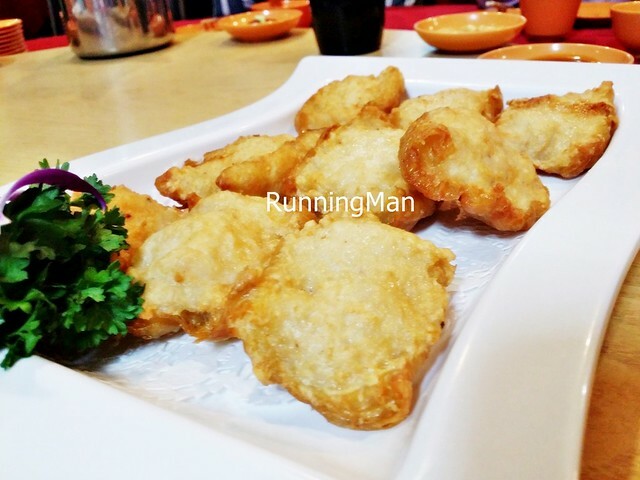 This imparts a savoury sweet salty flavour to the naturally sweet crab meat. Staff have also helpfully cracked the shell nicely, making this easy to eat, and not at all messy. Highly recommended! 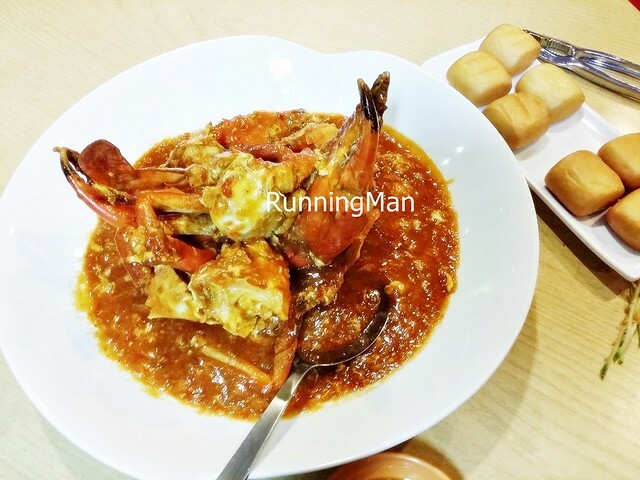 The Chili Crab (SGD $7.28 per 100g, $72.80 per 1kg) remains as good as before. 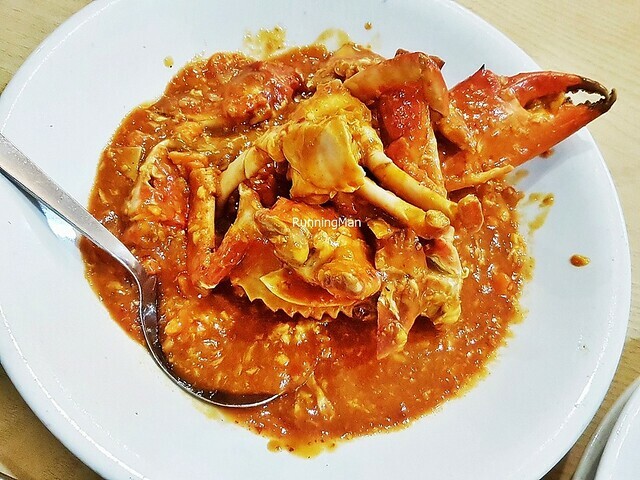 The fresh, meaty Sri Lankan crab has a lovely natural sweet flavour, complemented by the rich, eggy texture and savoury spicy tangy flavour of the chili sauce gravy. 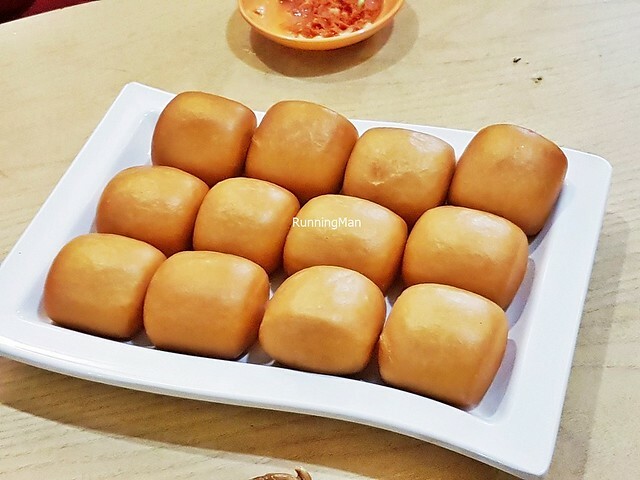 Served with crisp hot Fried Man Tou Buns (SGD $1.20 per piece), which has a spongy soft texture that picks up the gravy nicely. Good! 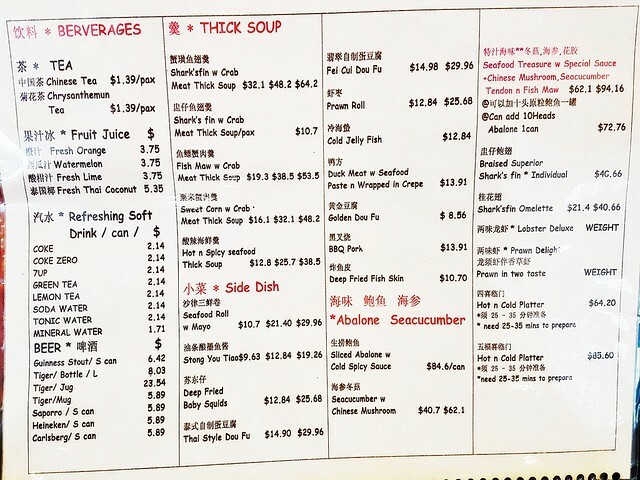 The Lala Clam Hor Fun (SGD $16.10 / $21.40 / $26.75) is a new dish on the menu, and I feel it's among the better noodle dishes here. 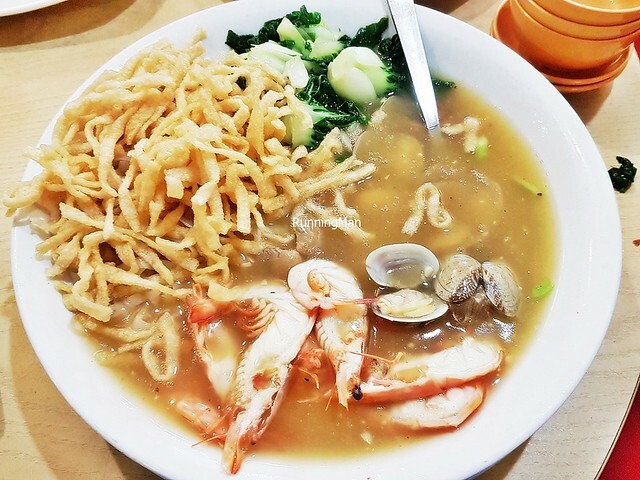 The thin, flat hor fun rice noodles are served in a thick, savoury sweet gravy, garnished with strips of spongy dried beancurd skin, crunchy earthy nai bai / milk cabbage, fresh clams, and meaty sweet prawns / shrimp in their shell. 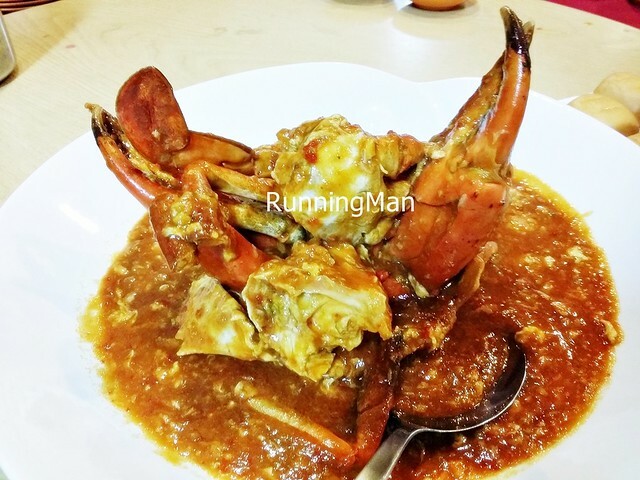 The delicious gravy is the star here, rich in seafood flavour. Highly recommended! 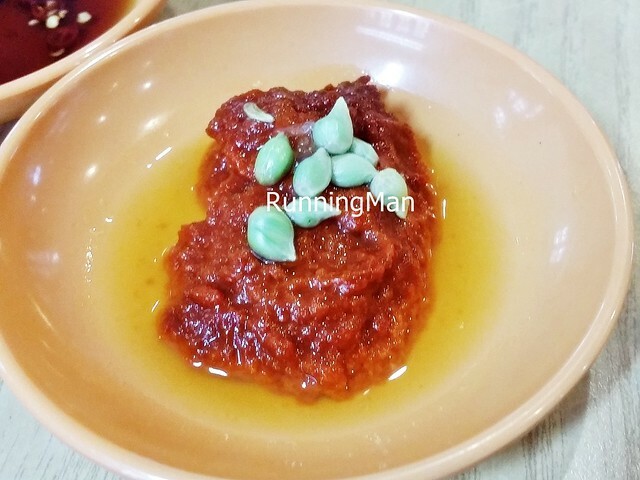 They offer a decent version of Yam Paste With Ginko Nuts (SGD $12.84 / $25.68) here. 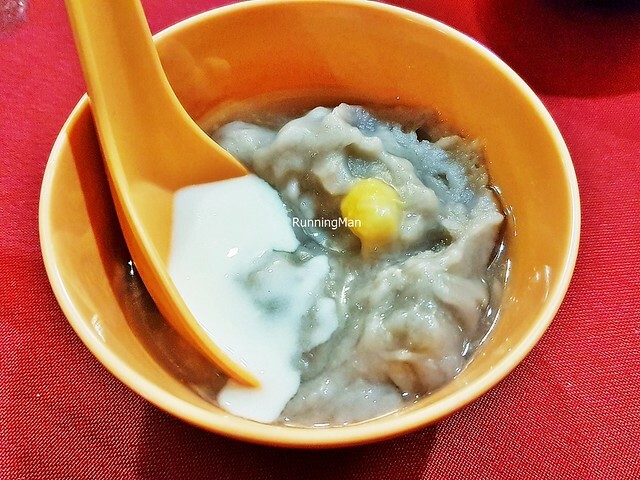 The yam taro paste is properly thick with a light earthy sweet flavour, complemented by the small portion of coconut milk. Staff have portioned this well, such that each person gets 1 - 2 ginko nuts per bowl. 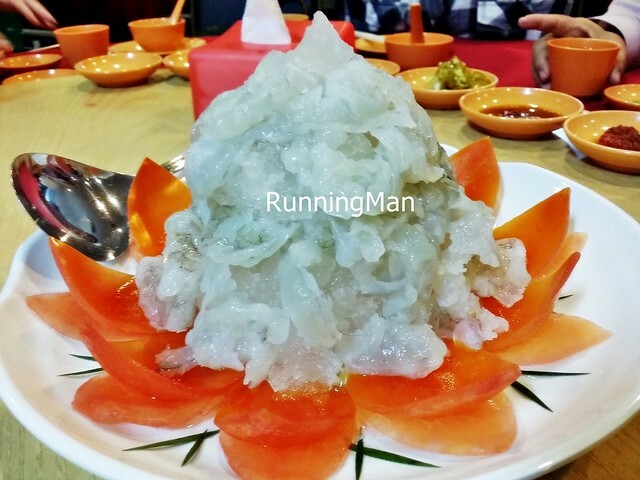 Not as rich or flavourful as the Chinese Teochew versions, but still decent enough as a dessert. Worth ordering!